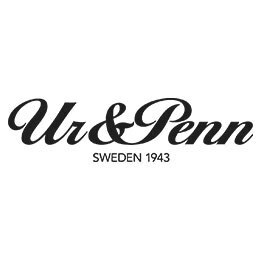 Ur & Penn, a Swedish retail chain specializing in quality watches and jewelry, has chosen AGR 5 from AGR Nordic A/S to manage their replenishment and supply chain processes. The company is able to offer quality jewelry and watches at affordable prices by removing the intermediary and becoming a distributor, as well as designing and producing amazing products themselves. With over 75 years in the market, Ur & Penn has proven the success of this business model. At Ur & Penn, the focus was on the process and having a flexible team that made it possible to implement the ideas that the company has for their future strategy. This aligns exactly with how AGR does things so it was a perfect match! The AGR solution will be used for forecasting, procurement, and distribution to their 106 stores as well as managing campaigns and S&OP. AGR Nordics web-based Inventory Optimiser and its unique S & OP tool are used by large and medium-sized enterprises to improve service levels and at the same time reducing inventory. Together, with the specially developed Manage-By-Exception report module, the system keeps track of deviations that require focus, and provide a good overview of all-round performance for both users and management.